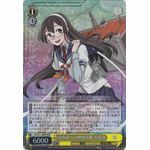 [AUTO] When this card is placed on the stage from your hand, search your deck for up to one <<Fleet Girl>> character, reveal it to your opponent, put it into your hand, and shuffle your deck. 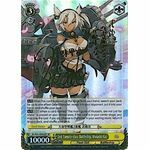 [AUTO] [(1)] When a card named "The main guns of Musashi, are not just for show." is placed on your climax area, if this card is in your center stage, you may pay the cost. If you do, choose a character in your waiting room, return it to your deck, and shuffle your deck. [ACT] Brainstorm [(1)] Reveal four cards from the top of your deck, and put them into your waiting room. For each climax revealed, search your deck for up to one <<Fleet Girl>> character, reveal it to your opponent, put it into your hand, choose a card in your hand, put it into your waiting room, and shuffle your deck. [CONT] This card gets +1 level and +1500 power for each marker underneath this card. 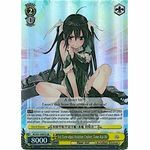 [AUTO] When this card's battle opponent becomes [REVERSE], you may choose a <<Fleet Girl>> character in your waiting room, and put it face down underneath this card as a marker. [AUTO] [(1) Put the top card of your deck into your clock] When this card is placed on the stage from your hand, you may pay the cost. 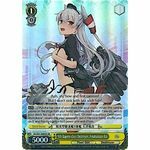 If you do, search your deck for up to one card named "Shimakaze-class Destroyer, Shimakaze", reveal it to your opponent, and put it into your hand, shuffle your deck, and this card gets +1000 power until end of turn. [CONT] If the number of cards in your clock is zero, this card cannot attack. 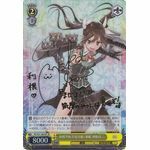 [CONT] If the number of your other <<Fleet Girl>> characters is two or more, this card gets +1000 power. [AUTO] [Put a card from your hand into your waiting room] When?this?card?attacks, you may pay the cost. If you do, choose one of your other <<Fleet Girl>> characters, and return it to your hand. [AUTO] This ability activates up to one time per turn. When this card becomes [REVERSE] in battle, put the top card of your deck into your waiting room. If that card is a level 0 or lower character, you may [REST] this card.